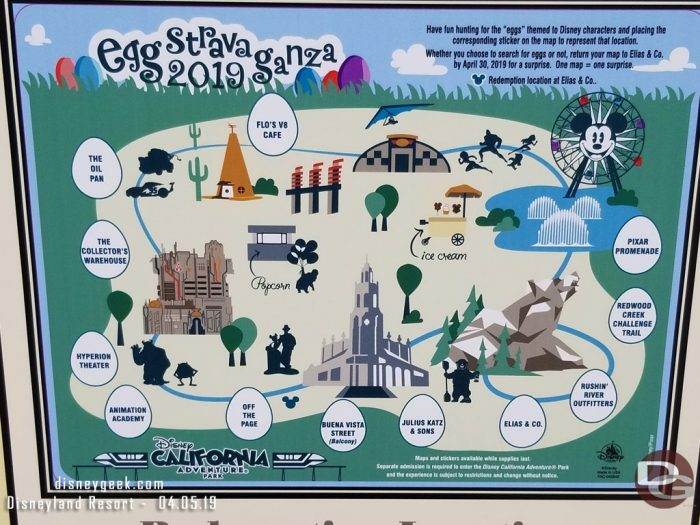 The 2019 edition of the Eggstravaganza Scavenger Hunts started Friday at the Disneyland Resort and are available through April 21. Contributing photographer Jason of disneygeek.com was in the parks and found all the eggs, so he thought he’d share some photos with us! 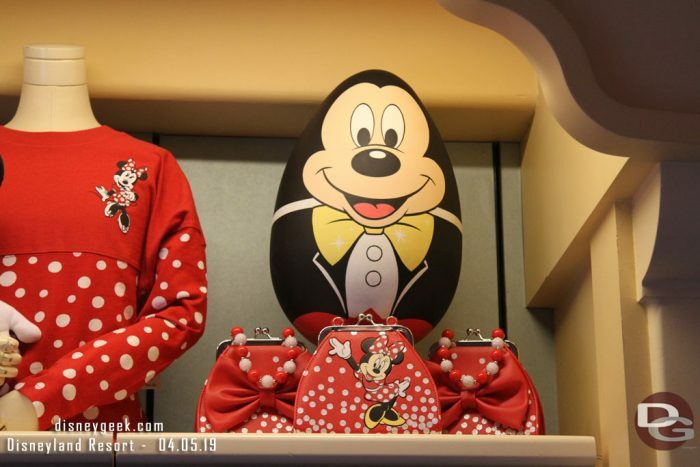 Mickey egg is found near Minnie merchandise! 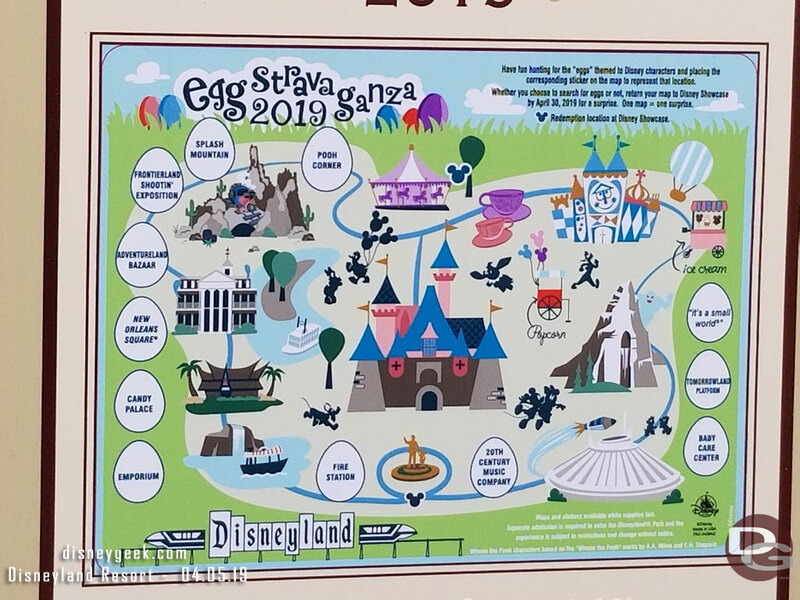 There are three quests again this year, one at Disneyland, one at Disney California Adventure and the third at Downtown Disney. Here are the three different maps. To participate in the Eggstravaganza hunts, purchase a map and sticker pack at one of several locations for $6.99 plus tax (no discounts). Then set off to find the 12 eggs for the map you selected. 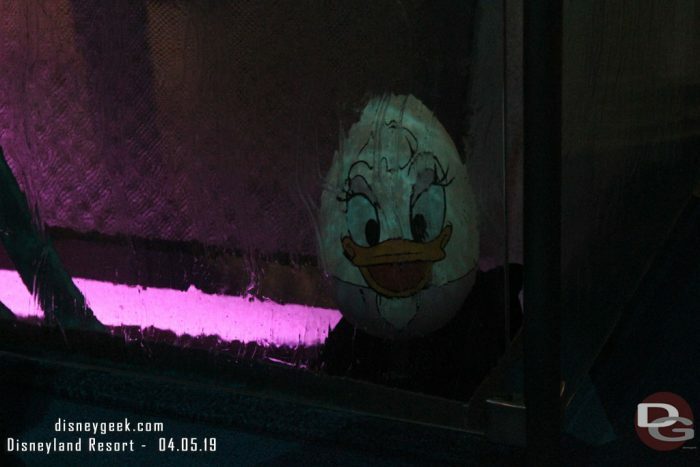 You can return to a redemption location at any time to claim your prize egg. 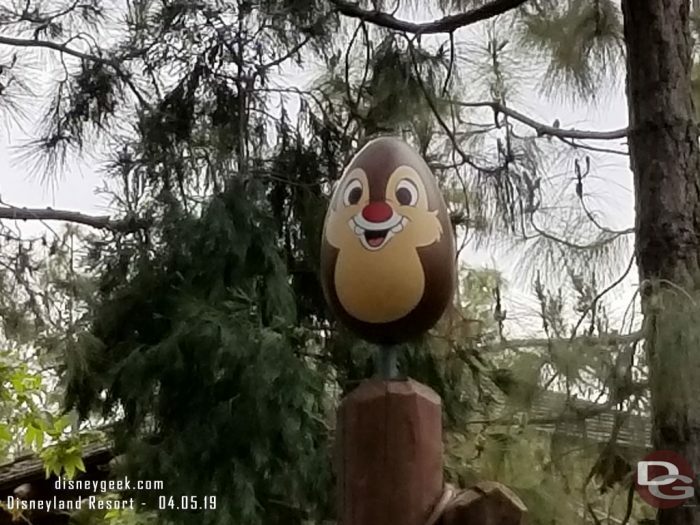 You’ll find Dale’s egg in a foresty spot, too! 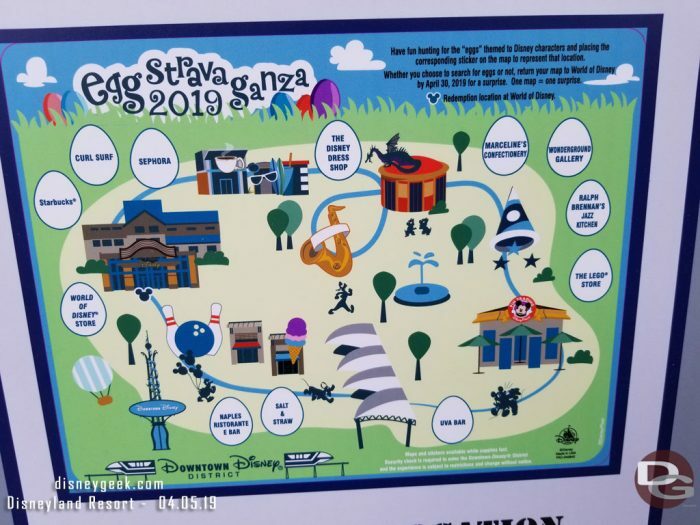 When you return your completed map into a redemption spot, you’ll be able to choose from one of six eggs as your prize — and surprise! There’s a small prize inside each one of those. You’ll also have the chance to buy some limited edition Easter pins commemorating the occasion. 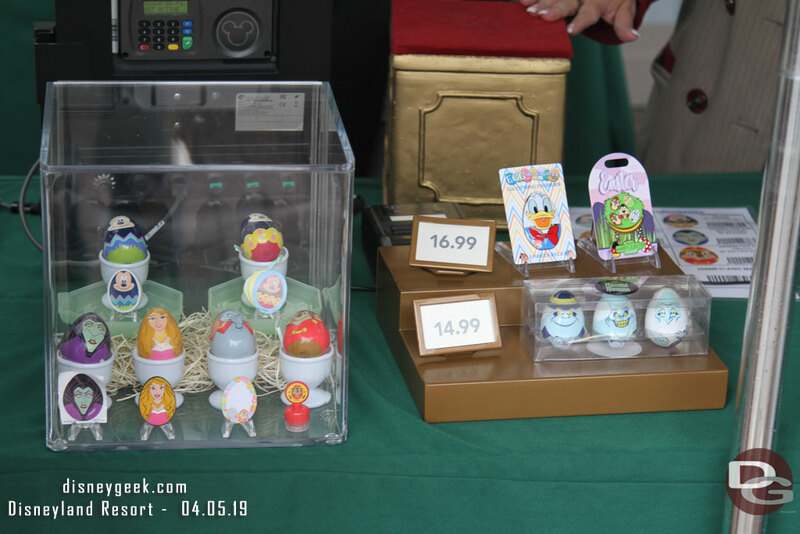 Disneyland is also selling the special three-pack of Haunted Mansion souvenir eggs that can be found in Epcot. If you are looking for more tips/hints on where the eggs are hiding, I have all 36 in the full photo set on disneygeek.com. 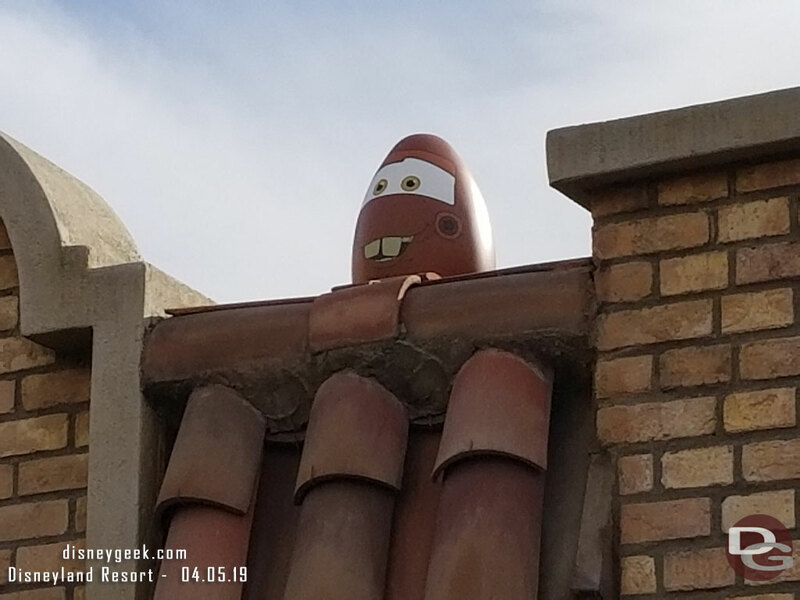 Hope you enjoyed this highlight from my trip to the Disneyland Resort this week. For additional photos and details from this trip you can check out the full Disneyland Update I posted on my site, https://disneygeek.com Also be sure to follow me on Twitter @disneygeekcom for pictures from the parks. 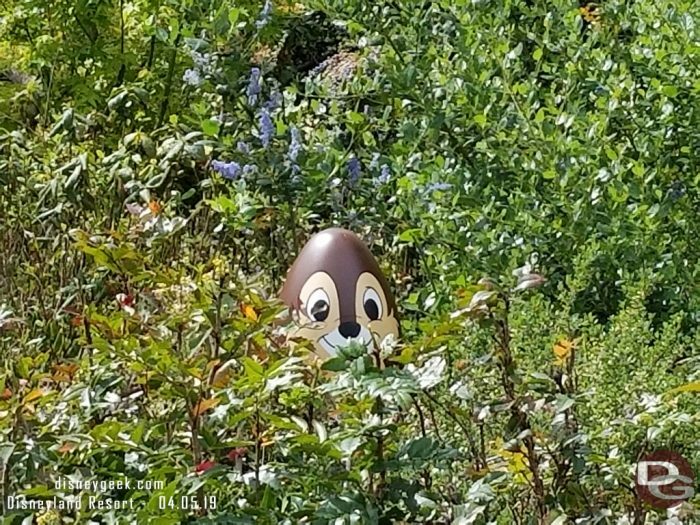 Are you hopping around the parks to search for the hidden eggs this year? Let us know in the comments below!